Tourism is one of the most important activities carried out by Seychelles companies which why the government together with the STB have increased the number of flights coming and leaving the archipelago. These facilities together with the low prices have automatically determined a greater number of tourists to come here in 2017. Moreover, tourist arrival numbers surpassed the expectations of the STB and reached 350,000 visitors. The STB predicted an increase of 5%, however the growth was of 15%. Most of the tourists came from Germany, their number reaching more than 50,000 last year. In 2018, German tourists are expected to be among the top visitors in Seychelles, as the STB predicts an increase of 10% in arrivals from Germany. Foreign enterprisers who want to open companies in tourism, can rely on support from our company registration consultants in Seychelles. 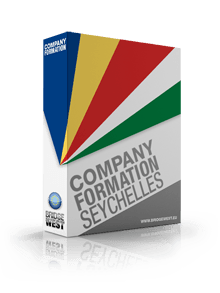 We can also assist those who want to open offshore companies in Seychelles. There were several factors which contributed to the good year tourism had in 2017. Among these, the greater number of flights and connections with more European countries, but also a good cooperation between the STB and its partners promoted Seychelles as a tourism destination. Tourists have 3 direct flights from Europe: Frankfurt, Paris and now Vienna. Their efforts were seen in the incomes earned by Seychelles tourism companies which rose by 20%. For 2018, the STB has set the goal of increasing tourist arrival numbers by 8% to 10%. Tourism is the main pillar of the Seychelles economy, so if you are interested in setting up such business here, please feel free to contact our local consultants.